Techweek Chicago is a weeklong festival celebrating the innovation ecosystem in the Windy City. Starting tomorrow, techweek will hold 7 days of exciting events culminating a 3-day conference and expo. Some of this year's events include: Transformers Age of Extiction screening at Navy Pier, a special happy hour brought to you by WordPress, a tech inspired runway show at the W hotel and of course, the 1st Annual Future Sound Fest. Future Sound Fest is a 3-day music festival focused on the intersection of music & technology. 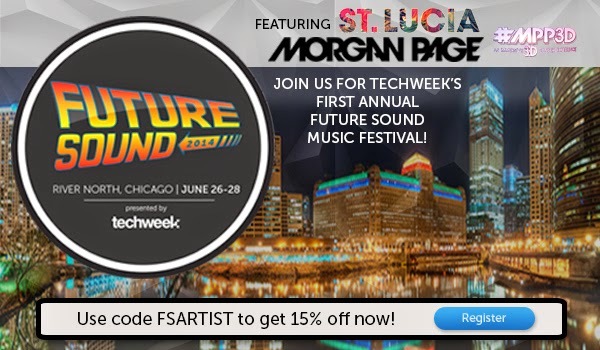 As the techweek expo winds down, live electronic and tech-enhanced musical artists alike Morgan Page & St. Lucia will heat up the South Drive of the Merchandise Mart. The South Drive is nestled between the Chicago River and the Mart. Join the adoptedSTYLE team and be the first to experience live music, while taking on one of the best view of the Windy City skyline. My motto has always been "less is more," especially when it comes to make up. Nobody should be a fan of clumpy eye lashes, overly tan skin or make up that you start to sweat off as you become hot (come on, ladies). Need some simple solutions? Below are my personal favorite and highly recommended beauty products of the season. I am definitely not trying to claim being a beauty expert here - get real - but these are just too good not to share. From a light shimmery glow to a refreshing, clean scent...there's not much more you need in order to stay cool & fabulous. Who's ready for one of the best Summer music festivals in Chicago? This week kicks off the 3rd Annual Spring Awakening Music Festival at Solider Field. 120,000+ attendees, including the adoptedSTYLE team, will be there jamming to beats from Tiesto, Kaskade, Knife Party, Steve Aoki, Bingo Players, and many more as we officially welcome Summer to the windy city. Don't have your ticket(s) yet? Make sure to snag them HERE before the festival is sold out! 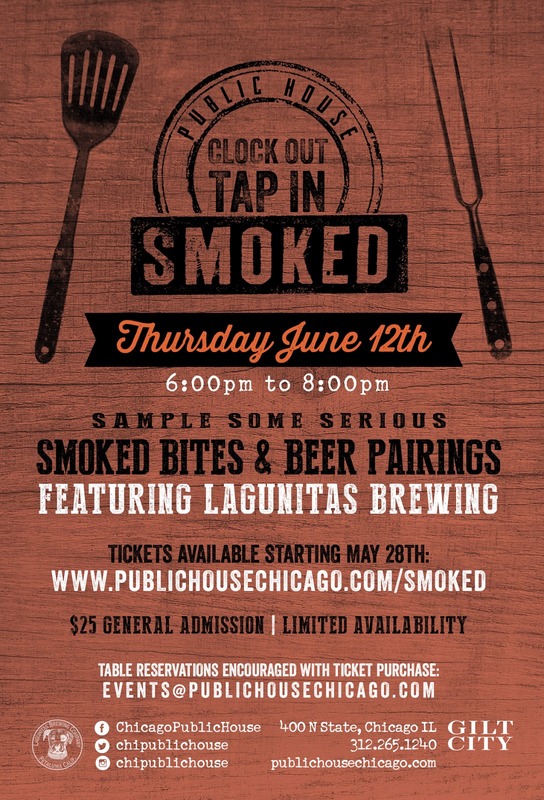 Ticketholders will have access to several stations where a Public House smoked bite will be paired with a Lagunitas brew. Guests will have the opportunity to make their rounds (utilizing a tasting card) and then return back to their favorite for an extra bite & beer tasting, on us! We will be giving away exclusive Public House & Lagunitas raffles as well as a $10 off weekend brunch card! for an extra SMOKED bite + beer pairing, on US!